Farm Gates by JDR Metal Art - Custom Driveway Gates - Iron Steel & Aluminum - JDR Metal Art - FREE Standard Shipping! 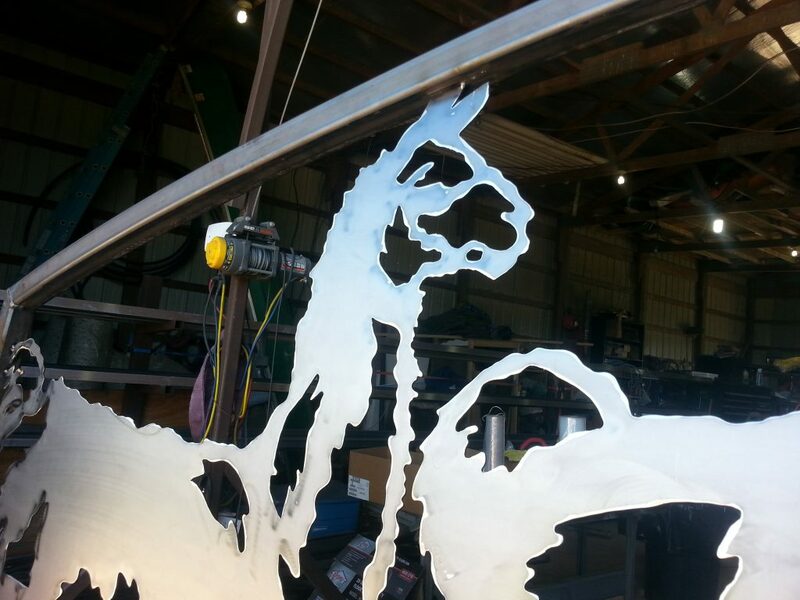 At JDR Metal Art we specialize in the design and creation of custom farm gates. We supply our farm gates to clients nationwide. Farm gates are the focal point of a farm entrance. A well-built farm gate will keep strangers out and animals in without the need for routine maintenance. 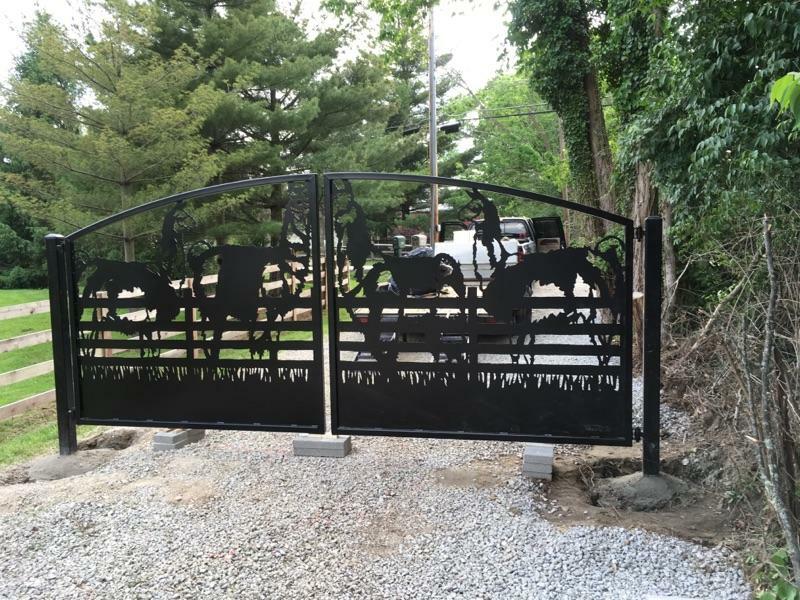 A custom farm gate with your farm name, farm logo or creative barnyard animal designs is the perfect way to make your farm entrance unique and appealing to both visitors and passersby. A high quality farm entrance gate will be built from steel or aluminum. Iron is not the proper material for farm gates due to its brittleness. The materials we use to construct the farm gate are never less than 1/8″ thick (.125 in). Most custom farm gate builders use a 14 gage (.083 in) steel tubing frame which is but a little more than half as thick as the 1/8″ materials and simply won’t hold up over the long term. If an artistic plasma cut design is incorporated in the gate design then this material should also be 1/8″ thick minumum. In many cases 3/16″ thickness is the perfect balance of strength and weight, resulting in a practically indestructible farm gate. 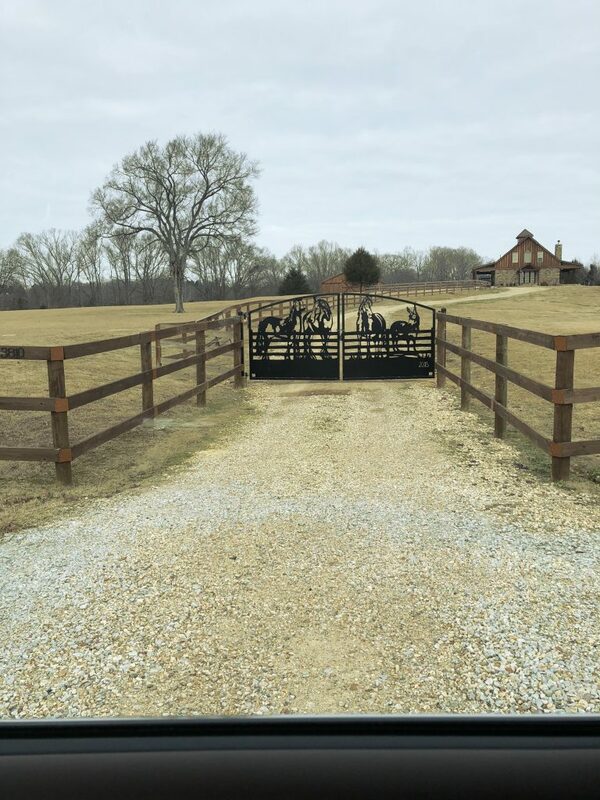 We create custom farm gate designs with various breeds of horses, cattle, elk, deer, bison, emus, llamas, ostriches, exotics and anything else you can imagine. We have a vast collection of ready-made designs which can be used in the design of your custom farm gate. We also create designs from scratch or working from photos of your farm animals. Need a farm gate designed?